Minimaker — Julia is a Designer! 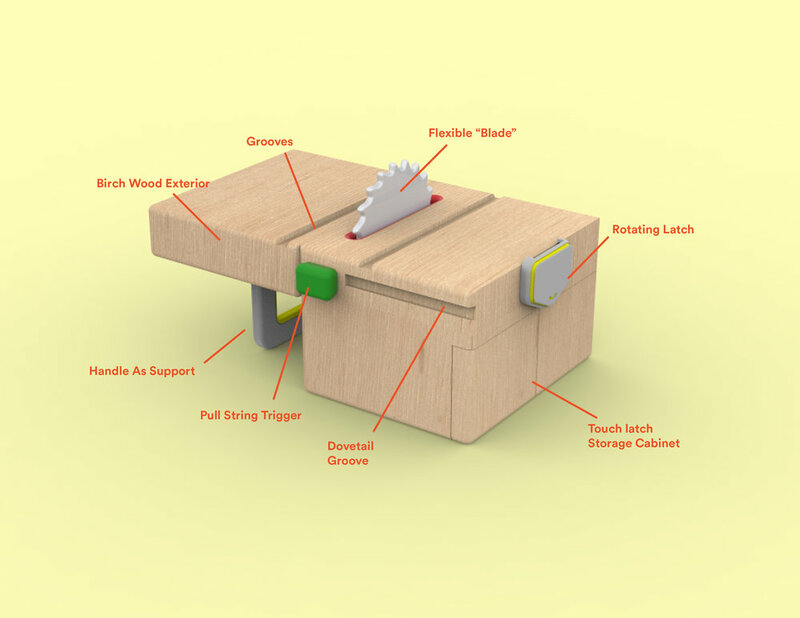 Minimaker is a hand powered toy table-saw that comes with accessories and modular wood blocks. It allows young children from ages 3 and up to gain exposure to the concept of using power tools in woodworking through fun and play. 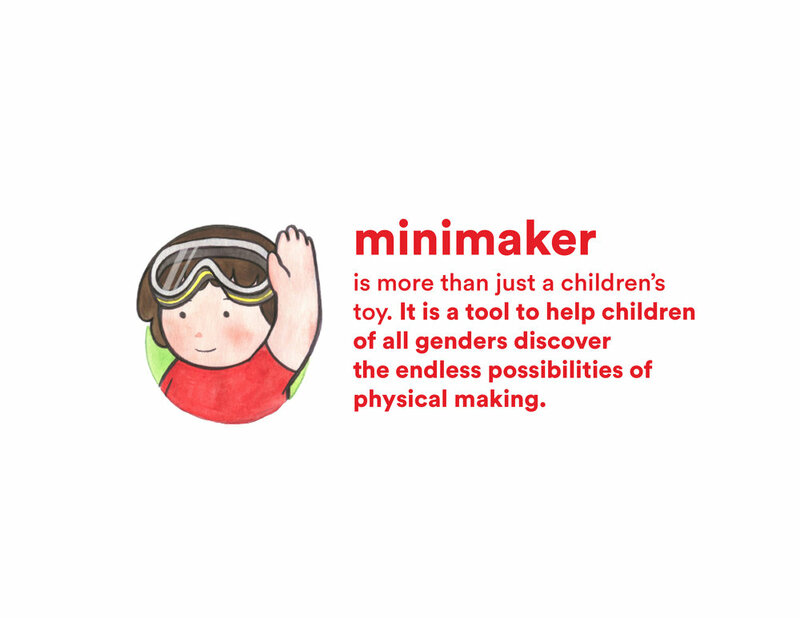 Minimaker enables children to emulate adult behavior, and catches the interest of children of all genders to familiarize themselves with woodworking, building and making. My project was selected to be archived under notable Parsons student work. I have also published my extended process book here. All parts of the toy can be stored into the enclosure after use. Connected handle for portability and can be flipped down for easy storage. 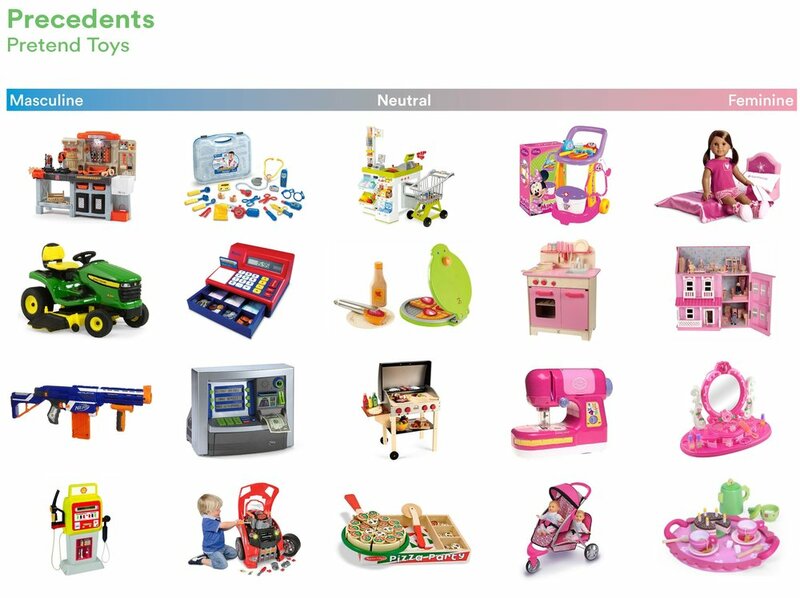 Toys provide some of the first encounters children have with gender stereotypes. A preference for gender-labeled toys has been identified in children as early as age two. Gender information saturates our society, in the form of marketing and media, and is communicated and performed by peers and parents. 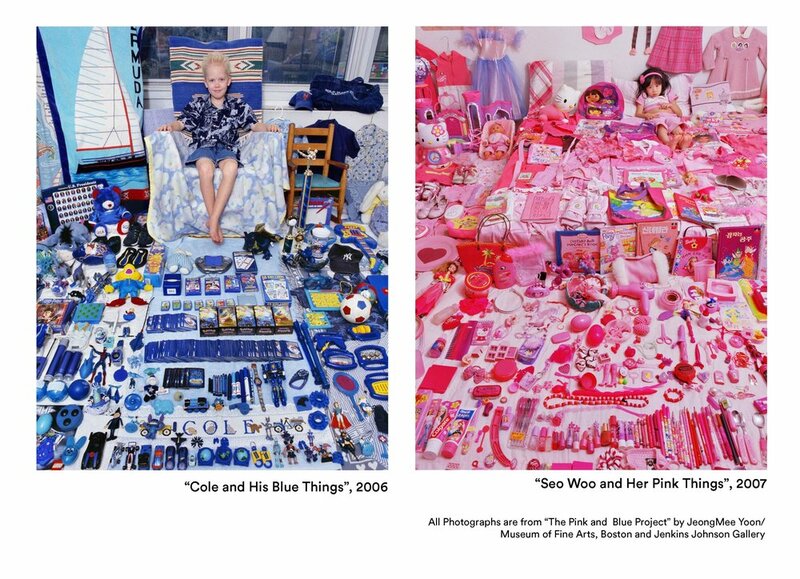 Gender-labeled pretend toys reflect the roles and behaviors that society expects children to learn and conform to. 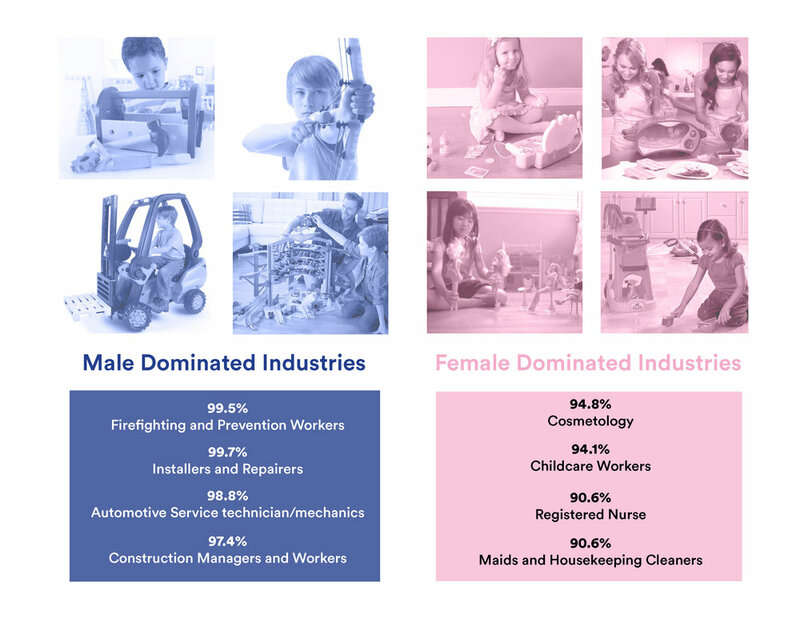 How can toys change gender stereotypes? My goal as a designer is to design a pretend toy that is usually associated with a specific gender, and making it fun and appealing to all genders. 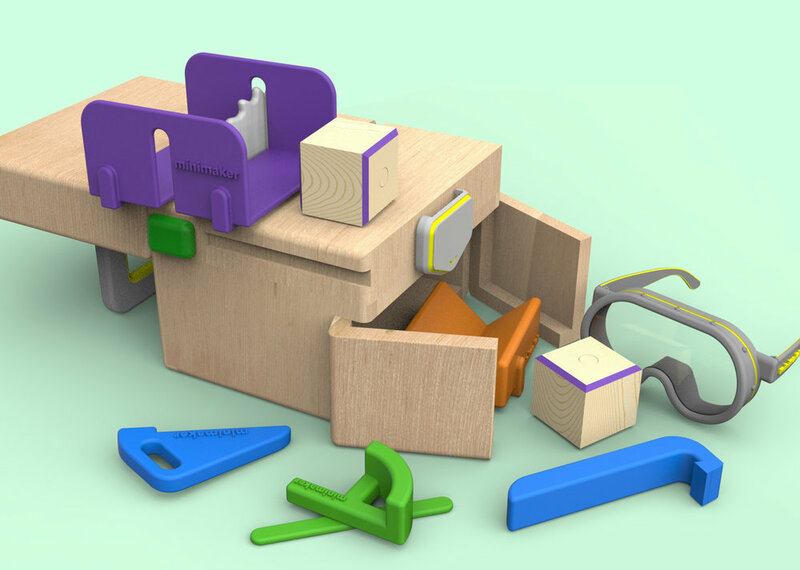 Woodworking is thought to be a masculine activity, but Minimaker allows young children of all genders to learn about safety procedures, the process of transforming material, and building with simple geometric shapes. It is important for me as a designer to take into consideration the development, interests, and social influences at various ages and stages of child growth for safe product use. In this diagram, I have mapped out the age range in relation to the functionalities of toy products as well as gender development in order to determine my target age group. I have chosen the target age group of 3-5 years old because during this age range, children begin to understand the concept of their own gender. Minimaker functions under a spring powered rotating mechanism. 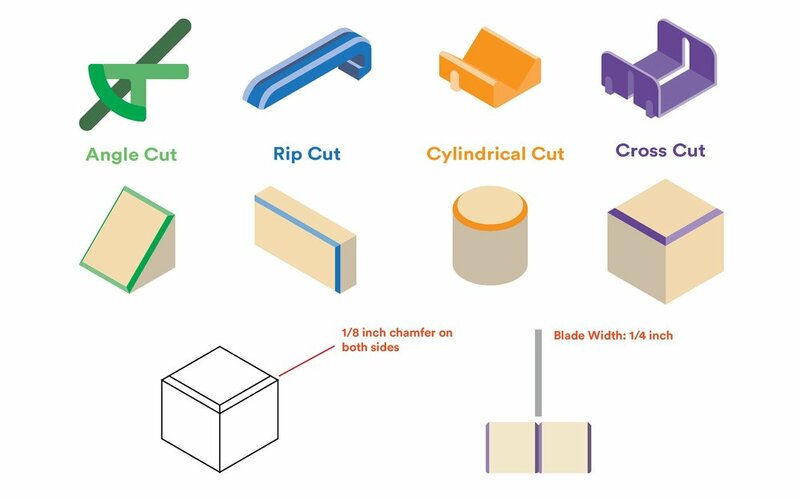 The modular wooden blocks come in the 4 most simple geometric shapes that can be cut on a table saw: square, rectangle, triangular wedge and cylinder. 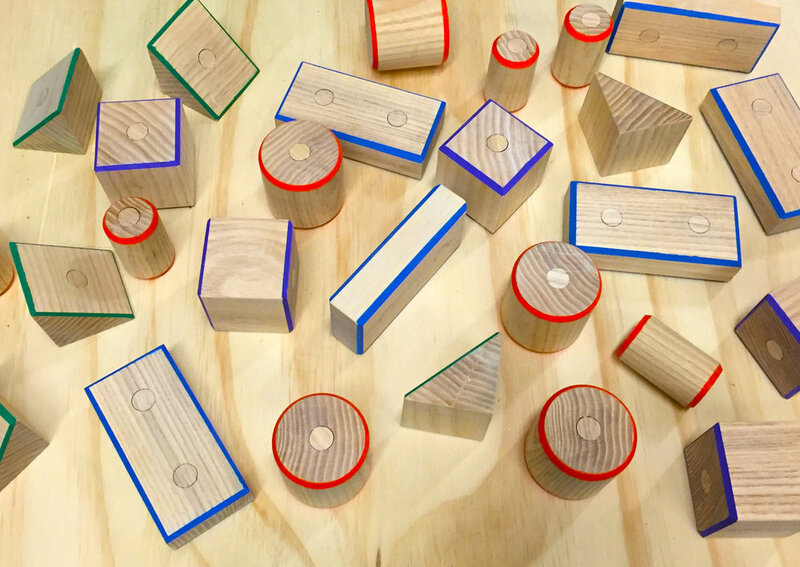 Blocks are connected and "cut" through connecting and breaking the magnetic wooden pins. They are color coordinated to indicate the correct accessory that should be used to make the cut. 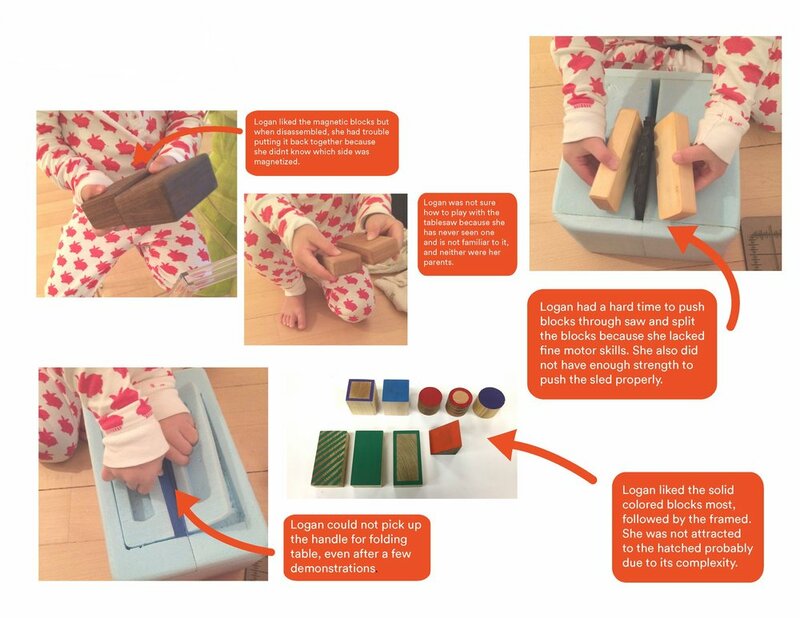 With these basic geometric shapes, children can build pre designed objects from instructions given in the booklet, or build from their imagination. Through studying the ergonomics of toddlers and in-person user testing, I was able to determine the level of fine motor skills within my demographic. 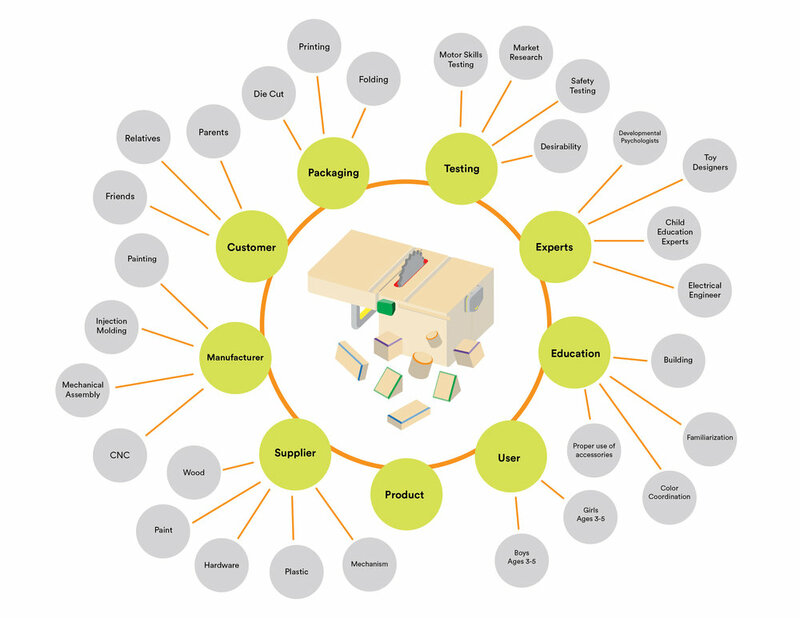 The results influence many design factors that are resolved in the final design.